(i'm a newbie - as u can see) I got a Z10 STL-100-4 factory unlocked , I live in Canada, any one know if any carrier in Canada this phone might work on? So basically, most, you shouldn't have a problem. If you really want to now, you should call the carrier and ask them. 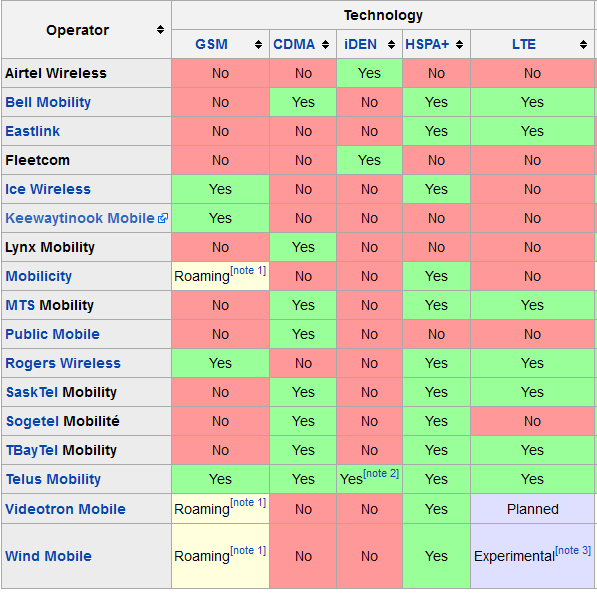 I was sure WIND was CDMA but wikipedia says no for some reason. My mistake I guess. No problem! Should really call them up about it to make sure. And I did call them , and No it will not work on Wind :( , i would love to hear from someone that manage to get it to work.